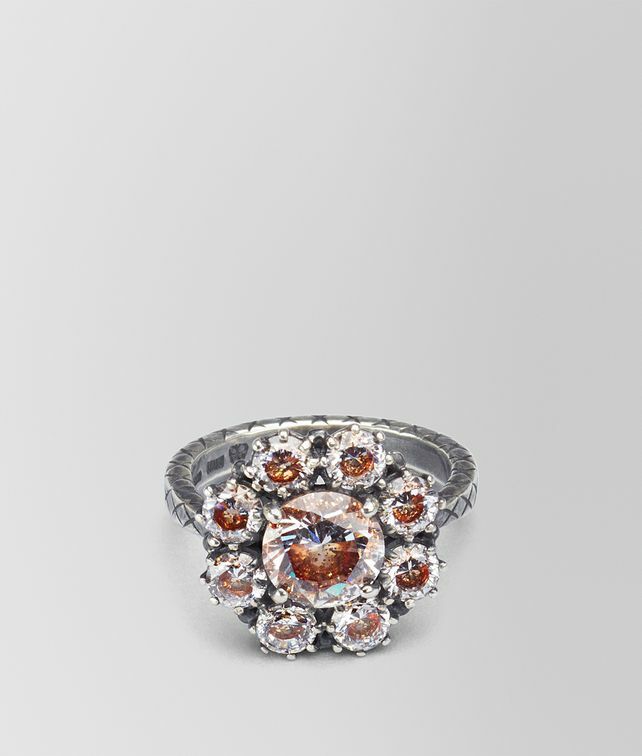 Sparkling and feminine, this silver ring is set with cubic zirconia stones in the shape of a flower. The faceted stones have been expertly hand-enameled by the house's master jewelers, creating a brilliant color effect. The silver is engraved with the iconic intrecciato motif. Size of element: 1.65 cm | 0.65"